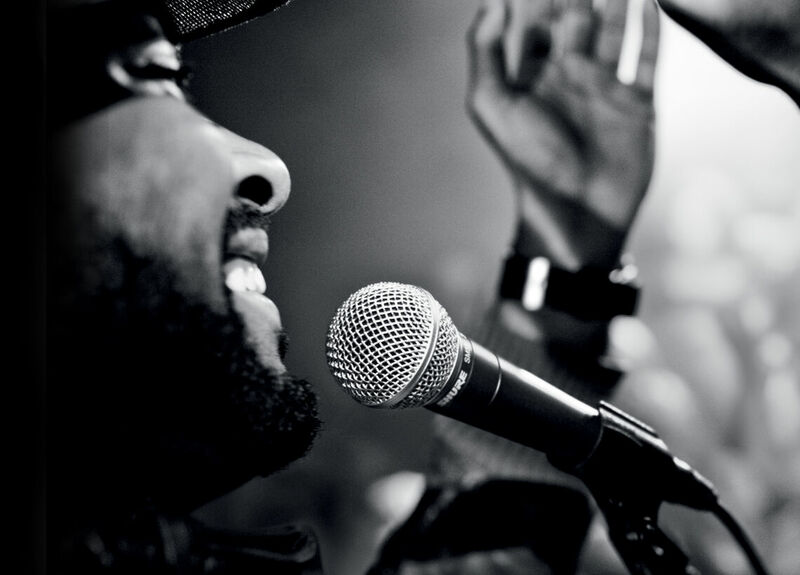 The transducer is the heart of the microphone. It converts sound into an electricalsignal. The two most common transducer types are Dynamic and Condenser. Another more special type is the ribbon microphone. Dynamic microphones employ a diaphragm, a voice coil and a magnet. 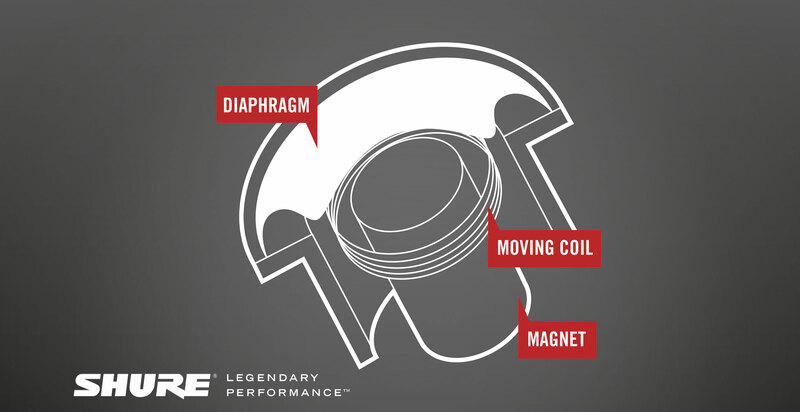 The voice coil is surrounded by a magnetic field and is attached to the rear of the diaphragm. 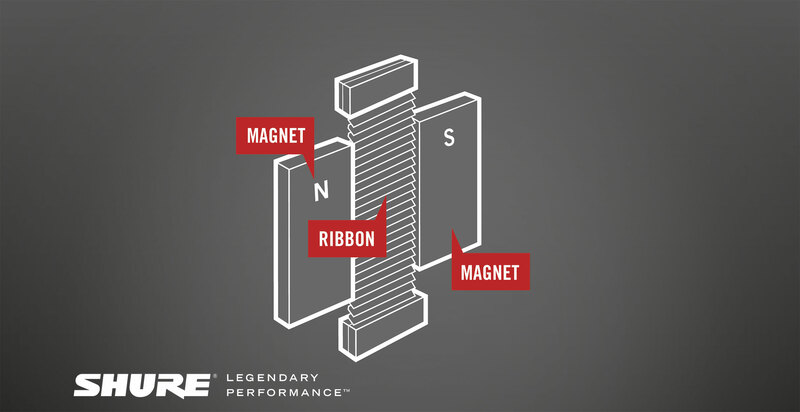 The motion of the voice coil in this magnetic field generates the electrical signal corresponding to the picked up sound. Dynamic microphones have a relatively simple construction and are therefore economical and rugged. They can handle extremely high sound pressure levels and are largely unaffected by extreme temperatures or humidity. Condenser microphones are based on an electrically-charged diaphragm/ backplate assembly which forms a soundsensitive capacitor. 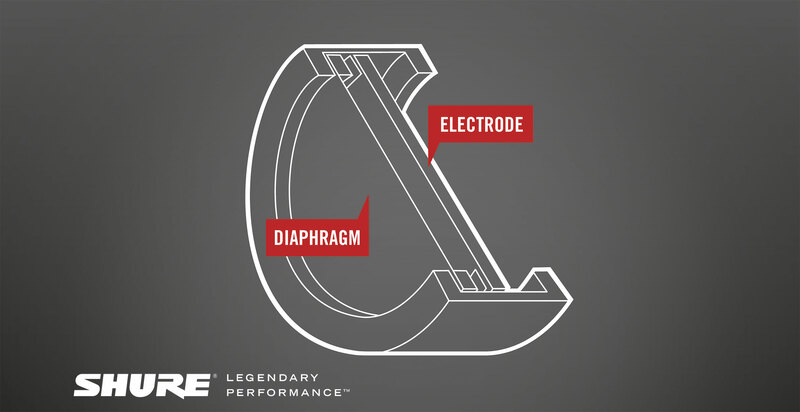 When the diaphragm is set in motion through sound, the space between the diaphragm and the backplate is changing, and therefore the capacity of the capacitor. This variation in spacing produces the electrical signal. 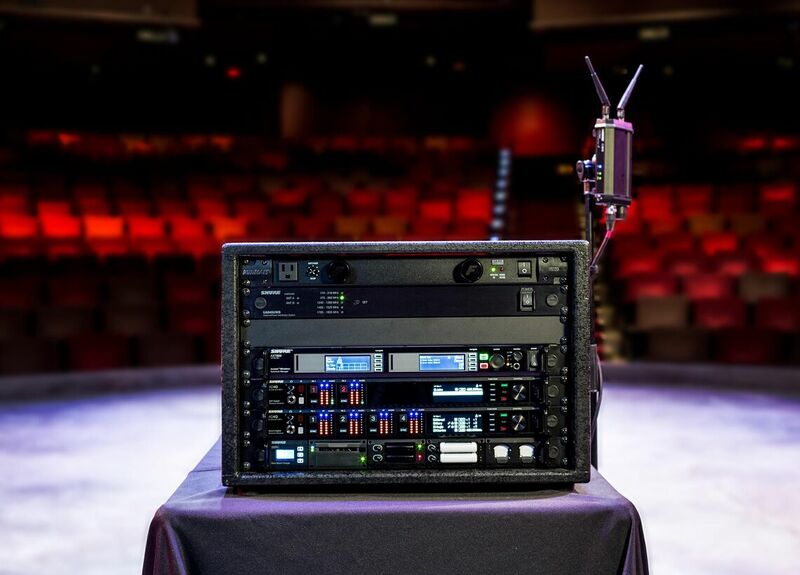 All condenser microphones need to be powered: either by batteries in the microphone or by phantom power provided by a mixer. 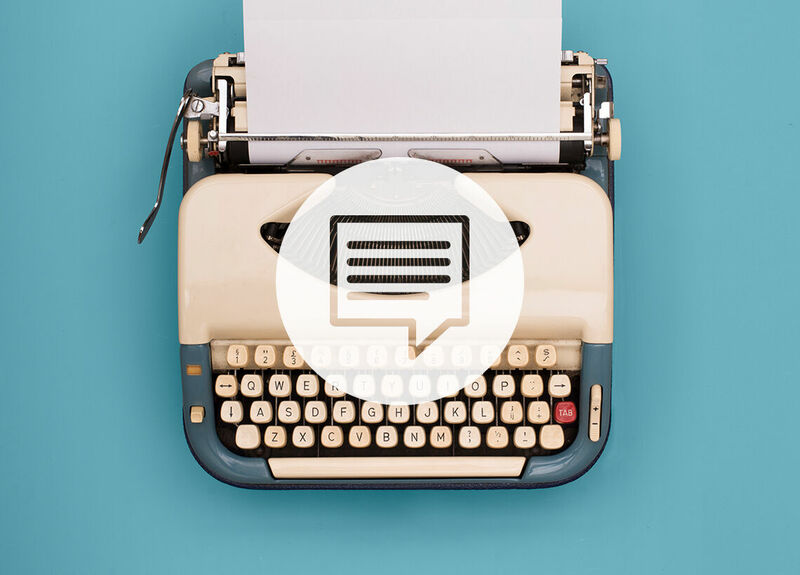 Condensers are more sensitive and can provide a smoother, more natural sound, particularly at higher frequencies. A ribbon microphone is a type of dynamic microphone that uses a thin electrically conducting ribbon placed between the poles of a magnet. Ribbon microphones are typically bidirectional. They pick up sounds from in front of the microphone and from the rear but not the side (90 degree angle). An Electret mic is similar to an Condenser mic. The capsule of a condenser microphone requires a polarizing voltage to charge the condenser element. An electret is a synthetic material that is permenantly polarized. 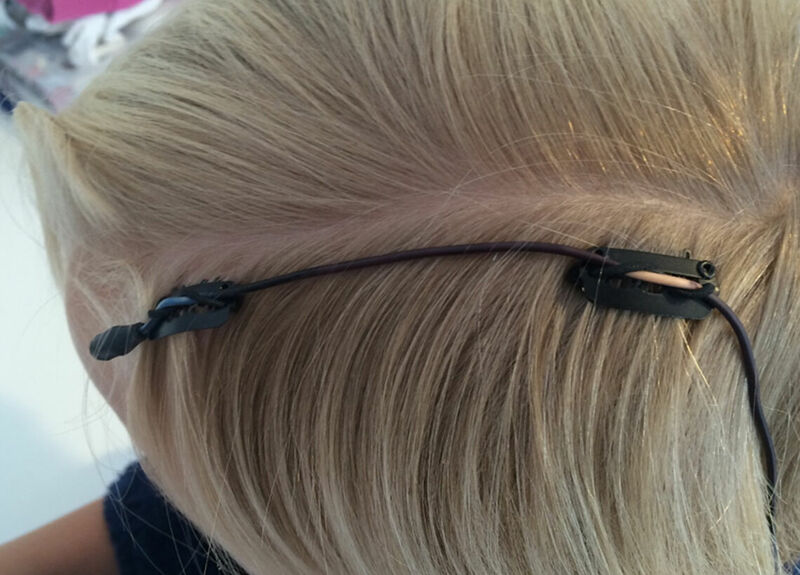 This is attached to the backplate, meaning the mic does not require an external polarizing voltage. Nevertheless, an electret condenser microphone does require power (either by battery or phantom power) to operate the preamplifier. They are small, and like a condenser, are sensitive and give a smooth, natural sound. All condenser microphones require phantom power in order for them to operate. The 48 Volts (some mcirophones do work already with 12 V) is usually supplied to the microphone by a mixer and is carried along the microphone cable. Some condensers can be operated with an internal battery and are therefore suited for use with mixers & PC sound cards without phantom power.